A Three Bed House With £500-A-Year Energy Bills: How Is That Even Possible? Recently the Guardian newspaper reported on a house in West Kirby on the Wirral that somehow manages to keep its annual heating bill to less than £500 a year..... but how? The house is home to a family - the Ushers who are obsessed with energy efficiency. Despite outside temperatures falling as low as 5C, the family manages to maintain the internal temperature of their home at a balmy 21 degrees, as if they had somehow been transported from their location in the frozen north of England and plonked down in the Mediterranean. What’s more, the Ushers insist that they aren’t cheating. They’re not, as some might assume, sitting around in their frozen living room, wearing five layers of clothing and slowly getting frostbite on their extremities, as if they were Buzz Aldrin on an Antarctic expedition. No - they insist that everything they’re doing is kosher. So what are they actually doing? Colin Usher, the dad of the house, explains. “We have a lot of insulation,” he says. He claims that his house is almost completely airtight. It turns out that the house only has the appearance of being a house. It’s actually more akin to a rubber balloon, the entire thing being hermetically sealed. It means that it has to use a sophisticated ventilation system, one which the family hopes won’t break down, in order to get air in and out without sacrificing on energy. The house, the Ushers say, is also made of super strong construction. The entire thing is made using lots of concrete, and this, they say, is what gives the house its ability to resist temperature changes on both hot and cold days. In the summer, the house is a bit like a cellar, remaining roughly the same temperature as the average day/night temperature, even during the warmest midday sun. 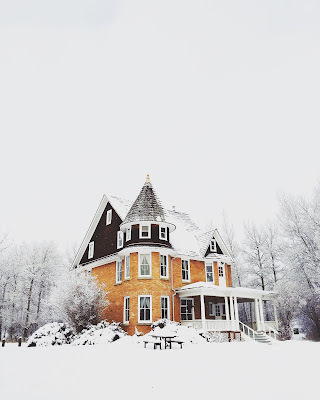 In the winter, the same principle applies: when the weather gets cold, the house has an uncanny ability to hold onto its heat for as long as possible. The Ushers aren’t the only family trying to cut their energy bills. Another family, hailing from southwest London, the Ettingers, have also sought to make their property fit for the 21st century. They’ve spent a lot of time and effort trying to update their Victorian terrace property so that it doesn’t give off as much heat. They suffered from having too many windows in the past, so they got replacement windows, many of which are triple-glazed, and refit the entire back end of their property. They switched out the old-style windows and converted all of the bulbs in their house to LEDs, which tend to use about a tenth of the electricity of standard bulbs. So what happened? Well, they used to pay £2000 a year on energy for their home with four bedrooms a cellar and bad construction, but now the family says that it has saved more than 40 percent on its bills, and now pays around £1200 a year. What’s more, the house feels different, the Ettingers say - it no longer feels like a falling down Victorian wreck.